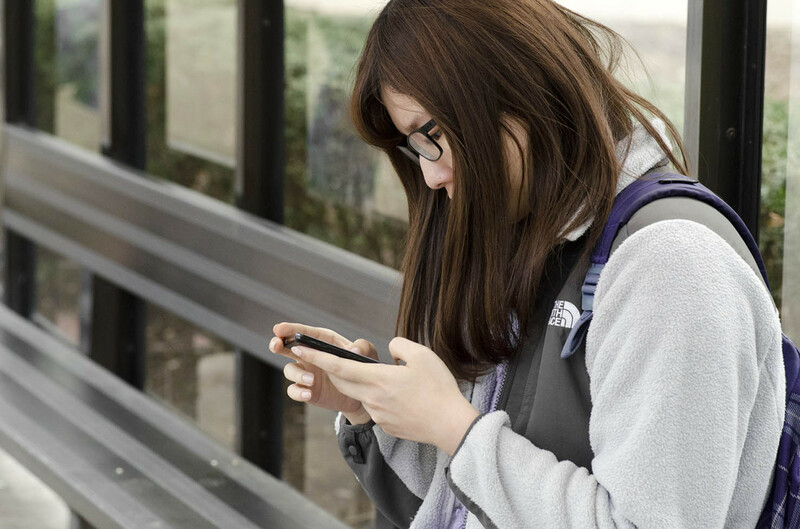 Ruobing Ma, a senior at the University of Illinois Urbana-Champaign, checks her cell phone while waiting for a bus on campus. If an emergency happens on its campus, the University of Wisconsin-Platteville gets the message out to 100 percent of its students via text message. But only about half of the students at Iowa State University would receive an emergency alert via text. And less than one-third of students at the University of Illinois Urbana-Champaign would receive an emergency notification via text message. These percentages of students who receive emergency notifications via text message reflect the inconsistent and patchwork emergency notification systems that U.S. universities and colleges use. In addition, universities vary on how they keep track of who and how many receive these alerts.